Personalize Luggage Tags for yoru Wrestling Bag Tag. 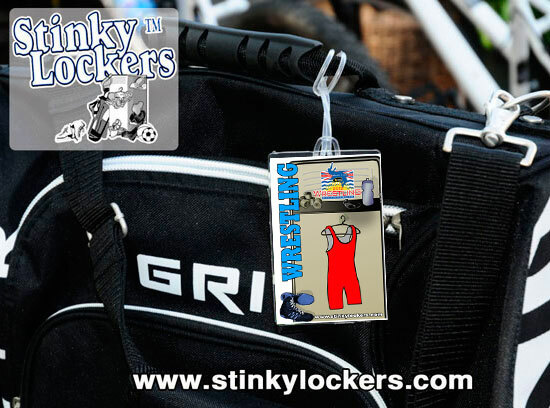 Note: There are two wrestling bag tag styles. Be sure to select your tag style. Only $ 6.99 per bag tag or buy 2 or more for only $ 5 each! Order for the team & save! Get extras tags for your garment bag, equipment bag, back-pack or luggage. Or, combine an order with a few other teams in town and $AVE. Order 100 or more for only $ 3.95 each.